April 14, 2019 Consumer forced to buy a bag of र3 : Consumer Forum directs Bata to pay compensation to Consumer. March 18, 2019 Travesty to Injustice: Protest at RGNUL Patiala. March 14, 2019 PIL in BHC for disclosure of information regarding status of promises made in the election manifesto by ruling parties and candidates. March 12, 2019 Duty of judges to encourage junior lawyers in open court when they argue well. February 17, 2019 Kerala HC bans hartal without prior notice of 7 days. February 17, 2019 PIL in Delhi High Court for use of ‘respectful words’ on soldiers’ martyrdom. MNLU International Client Consultation Competition. Comments Off on MNLU International Client Consultation Competition. Each team shall consist of TWO participants. Vacancy of Legal Manager at Jio. Vacancy of Corporate Counsel in Wipro. Vacancy in Microsoft, Hyderabad of Senior Attorney(Legal). Assistant Law Officer at HP PSC. Vacancy of Manager (Legal) at Tata Communications. Scholarship by Oxford University, for Masters in International Human Rights Law. Fellowship Program By Govt. of Telangana, 2019. NUS Presidential Young Professorship Singapore. Apply Now. Leiden University Excellence Scholarship (LExS 2019) for LL.M (Netherlands). The need of ADR and ODR system in India with a comparative analysis with The United Kingdom. Constitutionality of Alliance: Pre-poll alliance and Post poll alliance. Specific Performance under Contract Law. Support Us, Like Our Fb Page. indianlegalsolution.com is a unit of ‘Raghvendra Kumar and Associates LLP’. LLP Identification no: (AAO-0844). 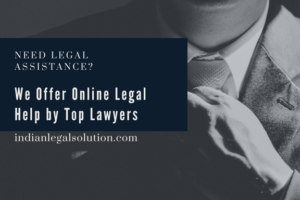 18th ranked Legal website of India. Recognized by StartupIndia DIPP, MCI, Government of India. [DPIIT35711]. Talk with our Expert Lawyers.